Be safe! Monitor your diesel vitals & do it in style with diesel gauges and gauge mounts from Auto Meter and ISSPRO. 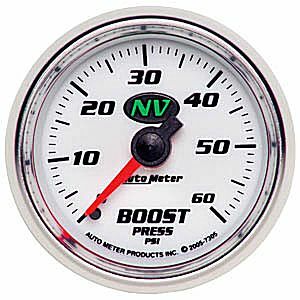 Boost Gauges, Transmission Temperature Gauges, EGT Gauges, Fuel Pressure Gauges, even Nitrous Gauges are available in a variety of styles and colors to match the tastes and needs of every diesel owner. Parley’s Diesel Performance also offers digital gauge products like the Edge Insight Monitor. The more you know about how your vehicle is functioning, the better. 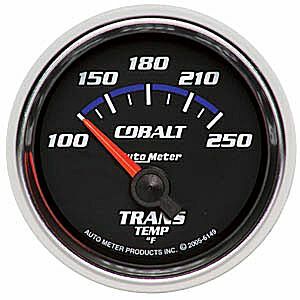 Gauges help you know how to safely run your diesel rig with more power or while towing heavy loads. Today’s advanced diesel gauges helps you keep an eye on all your vehicle parameters, and Parley’s Diesel Performance offers a full line of digital, mechanical and electrical gauges with short and full sweep dials. Don’t forget your gauge pods and monitor mounts to give your diesel ride a custom race look and keep your gauges right where you can see them when it counts. Full Sweep Electrical – Powered by digital microprocessor-controlled, rugged stepper motor drives & laboratory grade sending units, Full Sweep Electric Gauges are the best gauges available. They combine Extreme Durability & Readability of 270 degree sweep mechanical gauges with the easy installation and safe operation of short sweep electrics. Track tested and race proven, these units use precision senders to keep hazardous fluids out of the drivers compartment, and perform gauge calibration and sensor diagnostics at power up for xxtreme accuracy, every time. Short Sweep Electrical – Advanced 90 degree air core movements and simple three wire installation characterize these high performance instruments. Electric sending units keep hazardous fluids in the engine compartment sending collected data via an electrical signal to quick reacting, precise air core movements to give you all the information that you need and nothing that you dont. Mechanical – Bronze bourdon tube 270 degree sweep movements and durable nylon gearing have made these rugged and long lasting gauges a proven high performance favorite for over 25 years. Mechanical gauges require no electrical power for operation making them an ideal choice for vehicles with no or low powered electrical systems. They are also a top choice for monitoring diesel turbo boost pressure. Traditional aftermarket gauges will always have a place in the automotive world; however, with advances in computing and electronic display technology, electronic data monitors are becoming a more and more popular alternative for diesel enthusiasts who want to keep an eye on all their vehicle parameters and at the same time have access to a whole new world of amazing vehicle information. Diesel performance industry pioneers like Gale Banks Engineering have created electronic data monitors that are basically mini-computers that give you a window into all the inner-workings of your diesel. If you want to monitor your EGT’s, Transmission Temperature, Boost PSI and other vitals, no problem. Some digital gauges even allow you to read and erase diagnostic trouble codes, set vehicle engine temperature and pressure warnings, and even run tests on vehicle performance. And of course many let you do all this on a full color display that mounts right on your dashboard for a clean, factory installed look. The sky is the limit and we’re all able to benefit from the amazing features of electronic data monitors that are available today and will doubtless continue to improve and expand going forward.